The visit of the exhibition is free, however, the tourist office offers a guided tour by a guide Franco-Japanese speaker. In order to reserve this one, thank you to fill the form in the tab Book. Price 165 € - Visit limited to 35 people. 2018 is a symbolic date: it is the 160th anniversary of relations between Japan and France and the 150th anniversary of the beginning of the Meiji era (1868-1912), a period of upheaval that saw the end of isolationism and the beginning of a modernization policy. With the Meiji era, Japan and the West come into contact and fascinate each other. A vast event entitled Japonisme 2018 runs from July 2018 to February 2019 in France, sponsored jointly by the two countries. It aims to present many facets of Japanese culture through many events. In this context, the Musée des Beaux-Arts in Carcassonne is devoting an exhibition to Japan; entitled Samurai, art and symbolism of Japan; she wants to discover or re-discover the art, culture and history of this country thanks to the collections of Mr. Gregory Riffi and Mr. Xavier Durand, devoted to samurai and their way of life. Legendary source of inspiration, the image of the samurai is often summed up in the only warrior figure whose martial arts constitute the major heritage. With a history of more than 700 years, the samurai have developed a singular culture and deeply marked the society of Japan. Using historical landmarks, this exhibition shows the different artistic paths in which the founding myths and legacy of age-old traditions have been revealed. 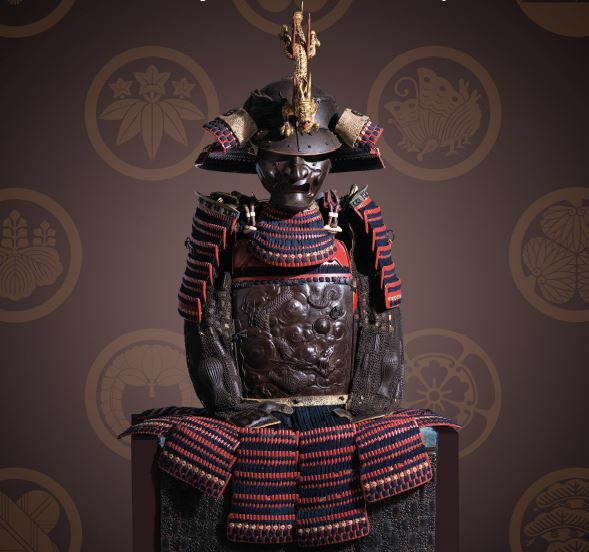 It addresses the beliefs and influence that is reflected in the ornamentation of the armory and equipment while reflecting the decorative arts of lacquered objects, the art of tea and Noh.